Pedro Schacht Pereira was born in Porto, Portugal. He holds a licenciatura in Philosophy from the University of Coimbra, Portugal, and a PhD in Portuguese and Brazilian Studies from Brown University. Prof. Pereira teaches a variety of courses on Portuguese, Brazilian and Lusophone African themes, with an emphasis on the formation of imperial discourses and their legacies in contemporary postcolonial cultures, Portuguese and Brazilian fiction from the 19th- to the 21st-centuries, and literary and cultural relations between the Portuguese and the Spanish-speaking worlds. Prof. Pereira's first book, entitled Filósofos de trazer por casa: cenários da apropriação da filosofia em Almeida Garrett, Eça de Queirós e Machado de Assis, was published by Coimbra University Press [Portugal] and Annablume [São Paulo, Brazil]. He is currently working on a new book on the formation and periodical ressurgence of discourses of exceptionalist Portuguese colonialism, such as lusotropicalism, in Portuguese-speaking literatures and cultures. Prof. Pereira is also working on a study about the African sublime in 19th Century Portuguese writer Eça de Queirós, and another one on the musical culture of the African diaspora in Portugal. 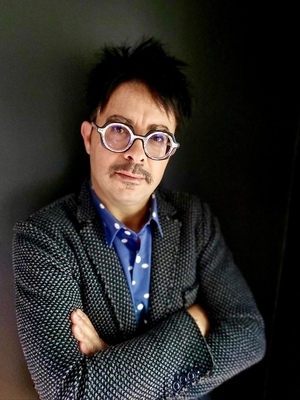 Since arriving at OSU Prof. Pereira has directed the LusoGlobe working group and co-directed the Iberian Studies Working Group of the Humanities Institute. He has also fostered a long-term relationship with Portugal’s Luso-American Foundation (FLAD) and the Instituto Camões, and is currently Director of Undergraduate Studies. 2014 Filósofos de Trazer por Casa: Cenários da Apropriação da Filosofia em Almeida Garrett, Eça de Queirós e Machado de Assis. São Paulo: Annablume. 2013 Filósofos de Trazer por Casa: Cenários da Apropriação da Filosofia em Almeida Garrett, Eça de Queirós e Machado de Assis. University of Coimbra Press [Coimbra, Portugal]. 2016 “Eça de Queirós e o sublime africano.” Queirosiana 25. Forthcoming, December. b. “Hegel, Humane Colonialism, and the Genealogies of Portuguese Exceptionalism.” Forthcoming in Transatlantic Studies Reader: Latin America, Iberia and Africa. Under submission to Duke University Press.